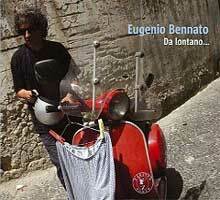 bennato returns on this 2005 release by one of Italy's best-known roots innovators. The band is excellent: Bennato on vocals, mandola and classical guitar with Erasmo Petringa, cello, lute, mandolincello and guitar; M'barka Bentaleb, vocals and percussions; Zaina Chabane, vocals; Roberto Menonna, guitare battente and vocals. But the results are sporadic, sometimes quite charming, sometimes a bit soft on the edges. This doesn't really measure up to some of his earlier releases, but for his fans, it's a logical and interesting extension of the Taranta Power legend. All contents of these web pages ©2001-2006 FNI Multimedia / cdRoots unless otherwise stated.